Misty wanted to be a waitress! Bottom line, early on Misty always knew she wanted to help people in some way, shape, or form. She was a “painfully shy” child. Then she started dancing. This was perfect, because she could express herself without having to speak to anyone. Then she got into theater and found her voice. This helped her learn how to connect with an audience at a deeper level. In high school Misty took drama classes – Steve Martin came to her school to talk to them. Misty says that being shy helped her learn to listen. Turns out Erica, and I, along with Misty were all in theater. Next Misty found herself working at a computer company. She does not like the “hustle” of it. She wanted stability. So she became a receptionist at the computer company. Then she unknowingly took a call from the CEO of the company. That landed her in sales and marketing. Listen to the episode for this story. It is amazing!!! Misty wound up developing products for Fortune 500 companies. Theater taught Misty how to memorize, study, and prepare. That prepared her for the world. Any time you feel like things are out of control, it’s because you’re not taking control. If you focus on the negative, you will have a horrible day. If you focus on all of the positive things, no matter how small, that is where your joy will start happening. If you celebrate even your smallest wins, you will duplicate them. Currently Misty is working at Intuit, after going to Tsheets, and then Tsheets was acquired by Intuit. Misty’s primary function is education. She sends out research to accountants to help them run their practice. She loves that it isn’t about the products, but actually about helping people build their businesses. 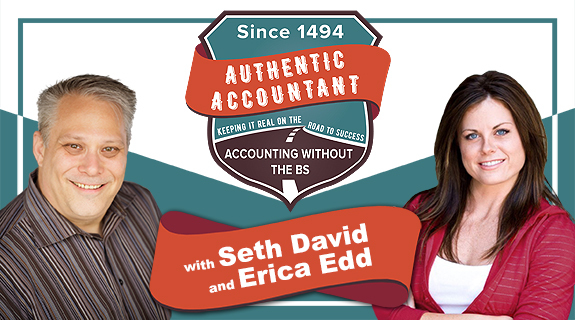 The goal is to “partner” with accountants, and help them. Even if it means helping CPA’s learn how to use Snapchat, which has nothing to do with tracking time, or accounting software. Most of the education is on CPA ACADEMY.